Home Publications The book “Dіn men Dastur” ("Religion and tradition") was presented in Almaty. The book “Dіn men Dastur” ("Religion and tradition") was presented in Almaty. The book is intended for a wide audience and should interest anyone who cares about the history and culture of his people. A presentation of the book “Dіn men Dastur”("Religion and tradition") was held today at the National Library of Kazakhstan in Almaty. 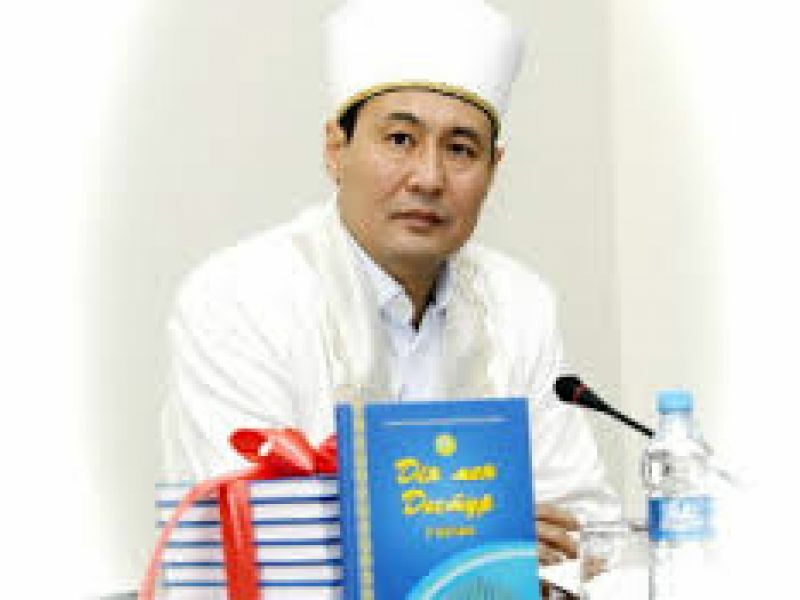 The initiator of its publication is the Supreme Mufti of Kazakhstan Yerzhan kazhy Malgazhyuly, reports inform.kz. The book describes in detail the relationship between religion and national values. It also addresses such important concepts as respect for parents, respect for elders, good manners, conscience and honor, tolerance to religious rules, simplicity and hard work, a sense of duty, kindness and kinship and brotherhood. The book introduces the reader to a variety of information and evidence about the similarity of folk proverbs and sayings from the Hadith. Supreme Mufti urged the youth to love the motherland, respect and preserve the traditions of their people. Also it was reported at the presentation that the year of 2014 was declared the Year “Dіn men Dastur” (Religion and tradition). A few copies of the presented books were given to the National Library of the Republic of Kazakhstan.